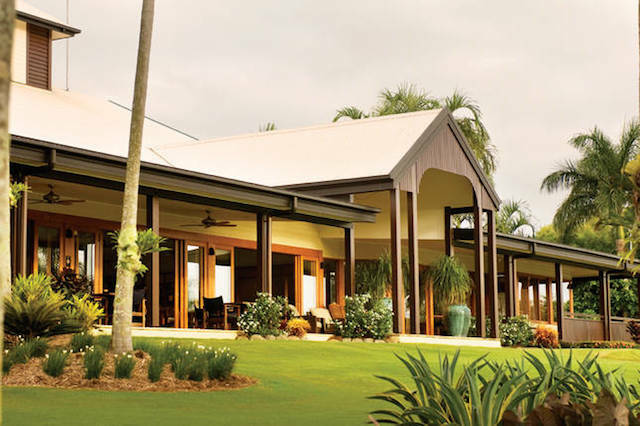 Imagine waking up in the morning, stepping out onto the sun-deck and diving straight into the Grand Lagoon, where you can float over to the Pool Side Cabana for your morning espresso… Sea Temple is sophisticated, stylish and modern, with the quintessential tropical essence of Northern Queensland alluring couples, families and wedding parties. 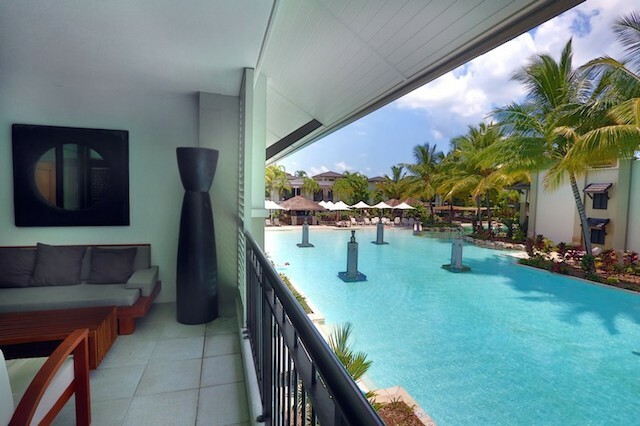 The 3,000 m² Grand Lagoon wraps around a luscious tropical garden where our recently refurbished apartments are scattered. 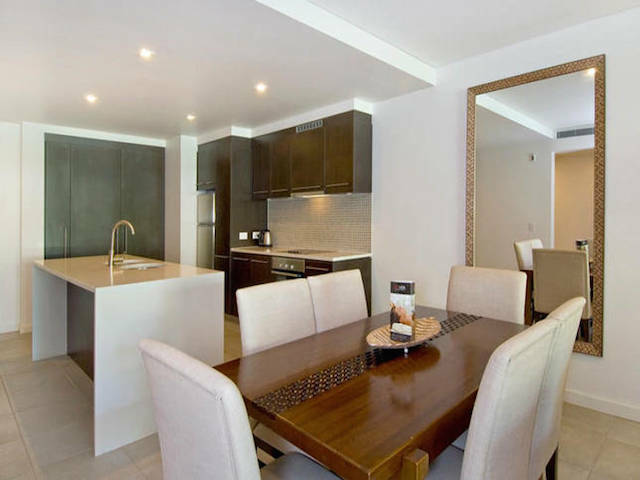 We feature the only duel entry 3 bedroom swim out apartment and the best located Studio, 1 and 2 bedroom swim out apartments in the Resort. 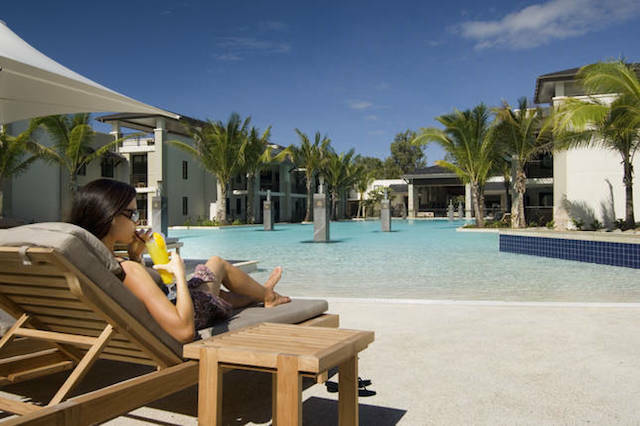 There is no reason to do anything other relax by the pool with a delicious cocktail in hand. 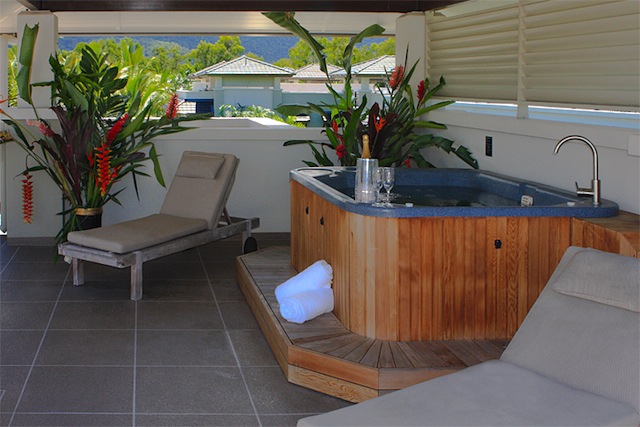 However, if the impulse to explore comes to mind, there is plenty to excite the senses. 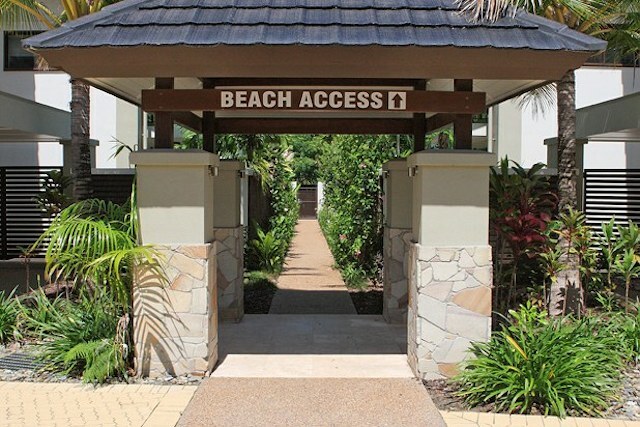 The beautiful Four Mile Beach is only a few minute stroll from the Resort and extends up to Macrossan Street, the epicentre of Port Douglas. 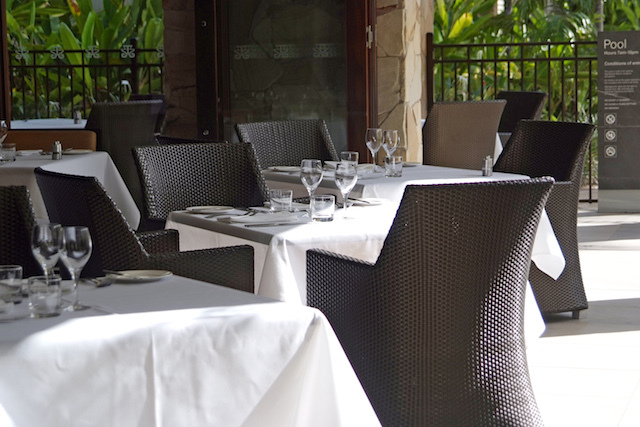 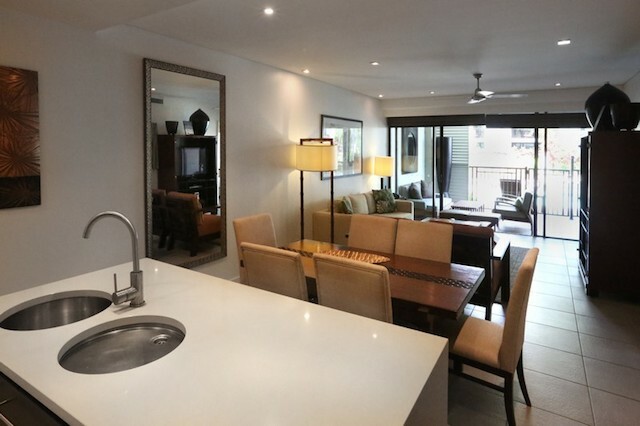 Macrossan Street plays host to stunning restaurants, local galleries, boutiques, shops and is close to the Marina, where The Great Barrier Reef awaits. 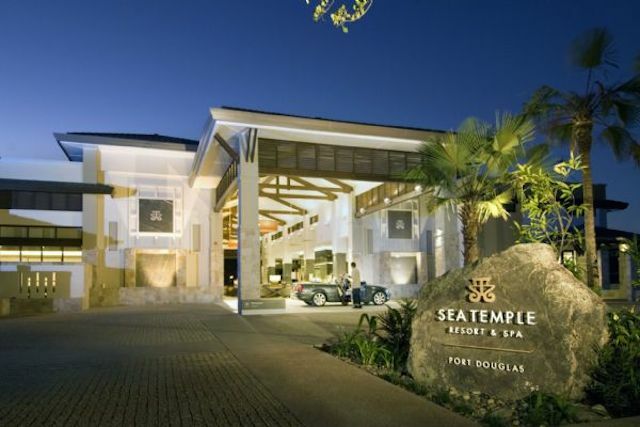 Sea Temple is everything you need and more. 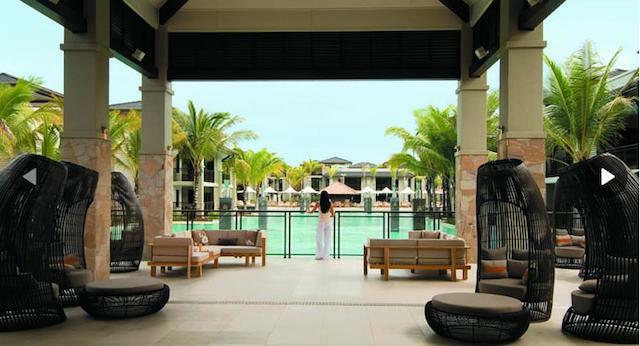 Indulge in 5 Star cuisine at the AQUA Restaurant, pamper yourself in the Vie Spa, work up a sweat in the gym or enjoy the sunshine at the Pool Side Cabana. 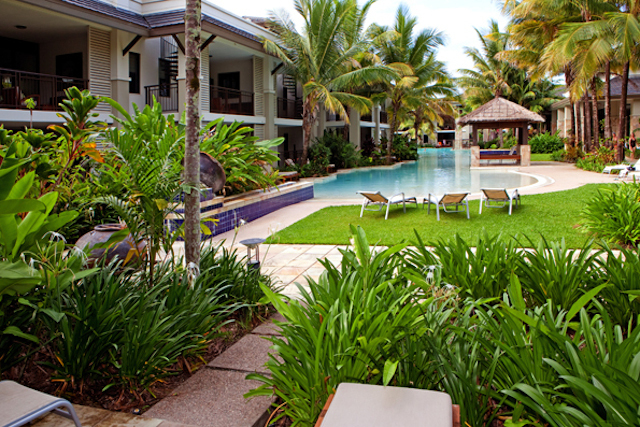 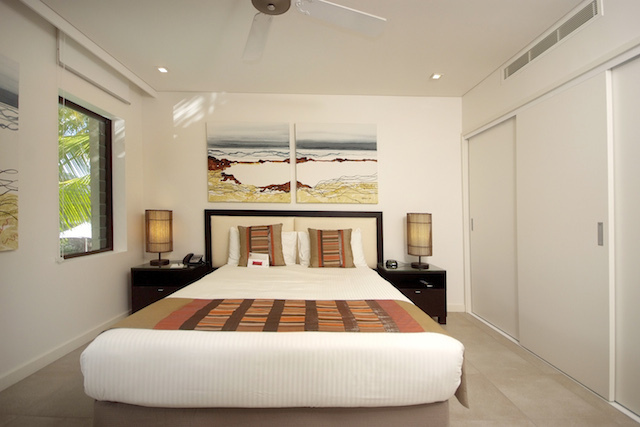 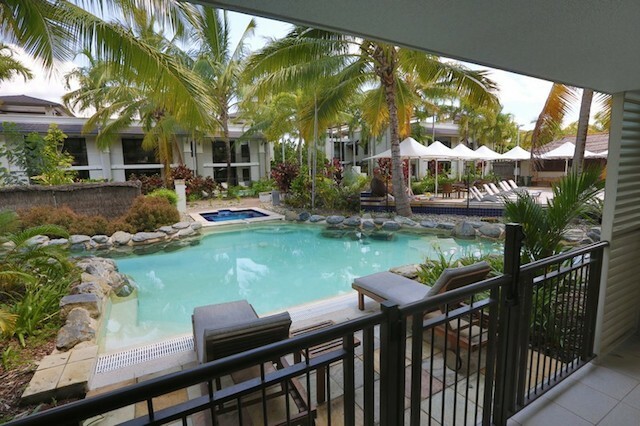 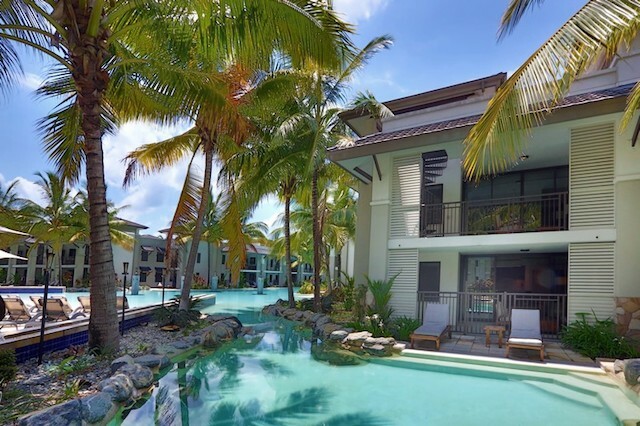 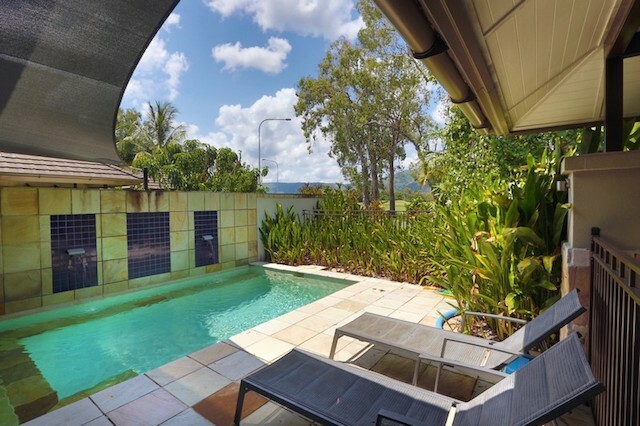 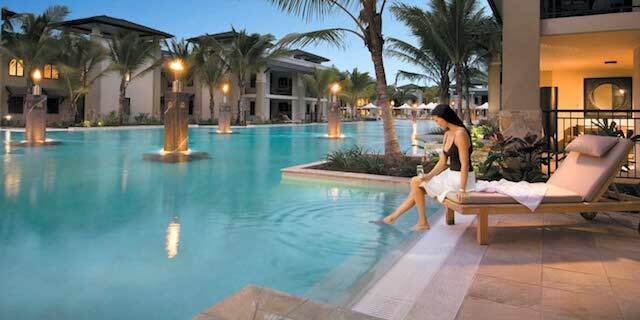 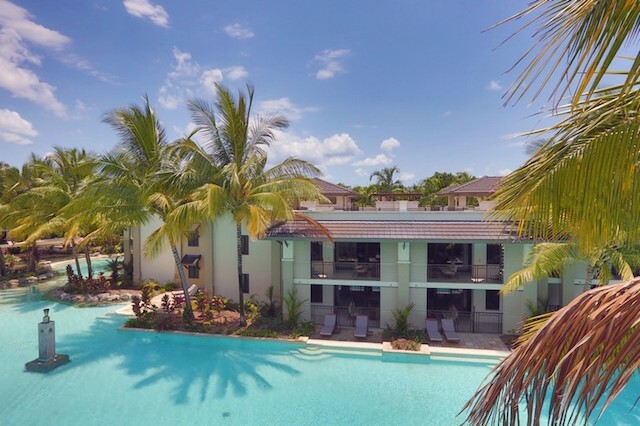 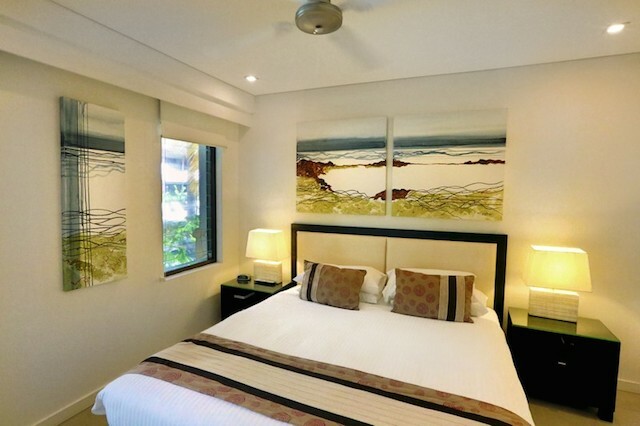 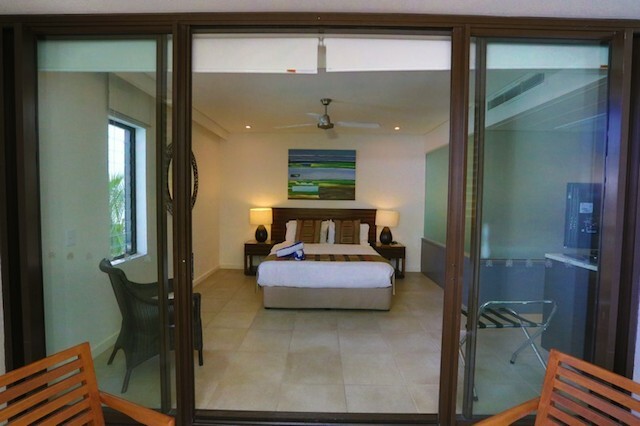 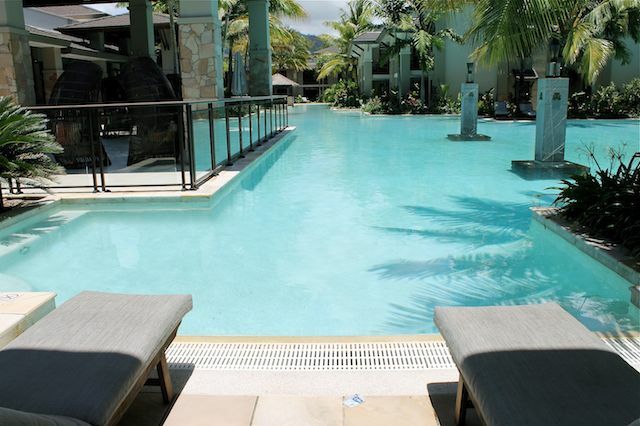 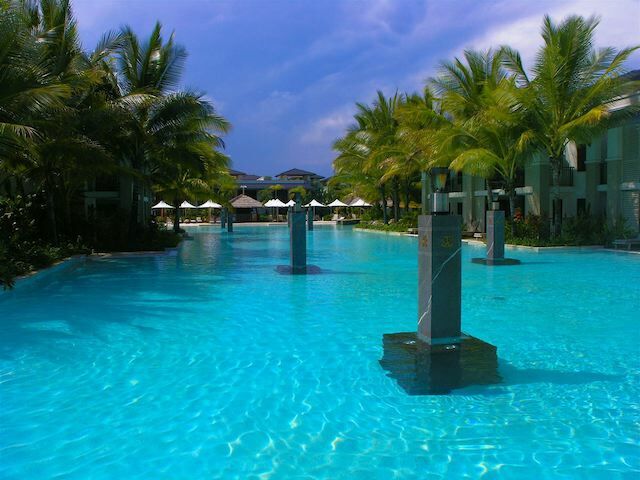 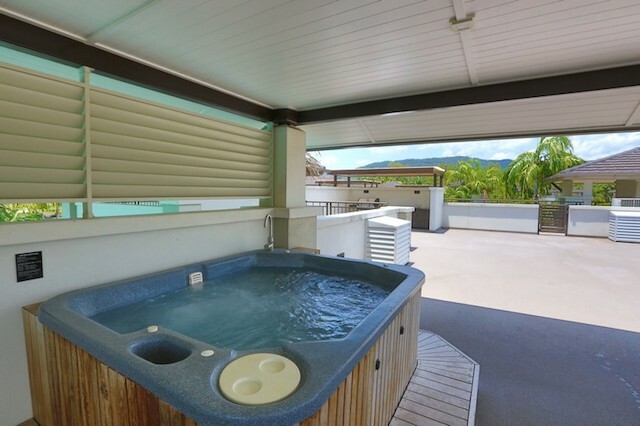 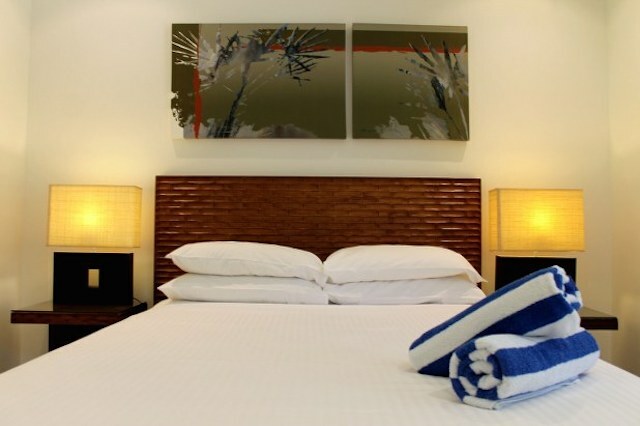 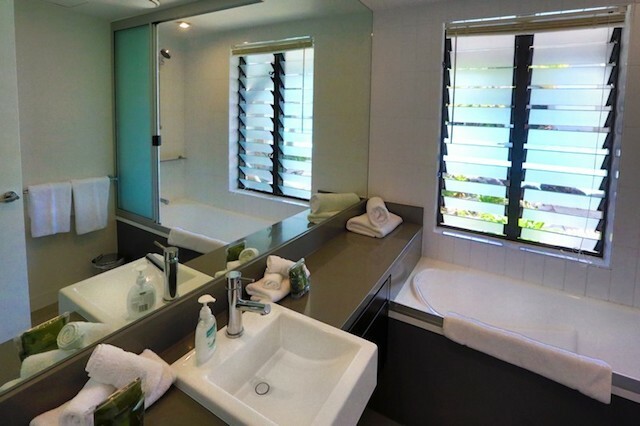 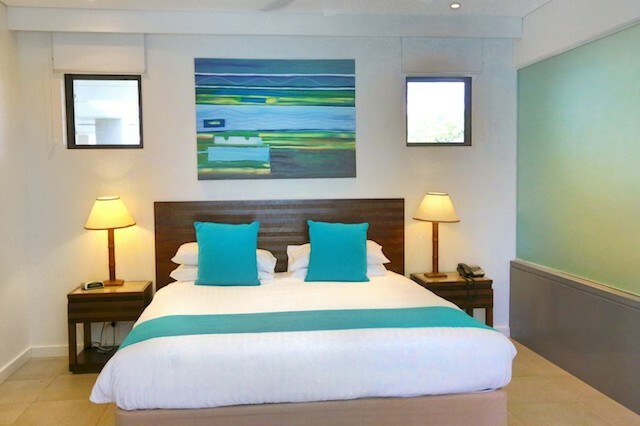 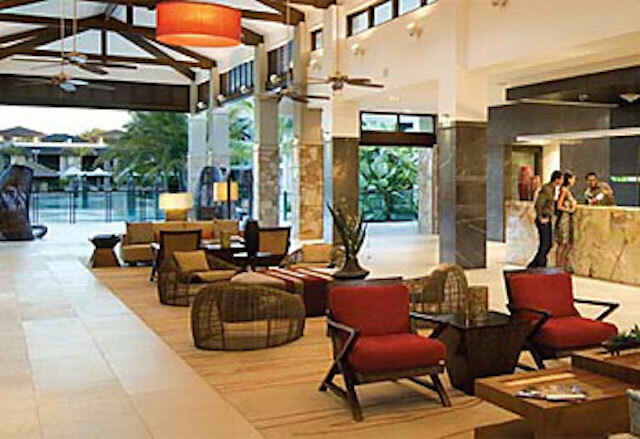 Although Port Douglas is a tourist paradise, you need not venture far from the stunning 5 star facilities and contemporary luxury of Sea Temple. 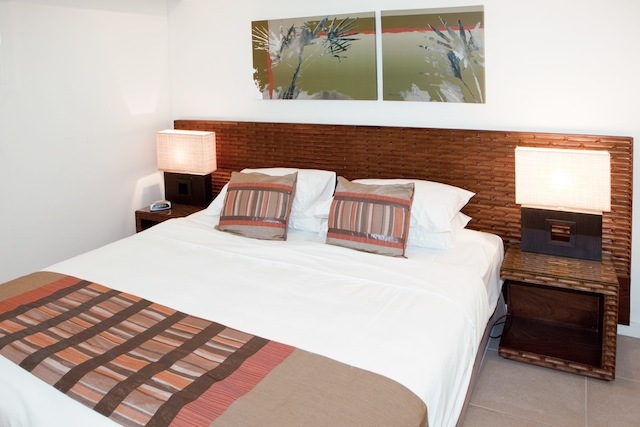 We have Studio Rooms, 1, 2 or 3 Bedroom Apartments, all are stylish and fully equipped for short or long stays. 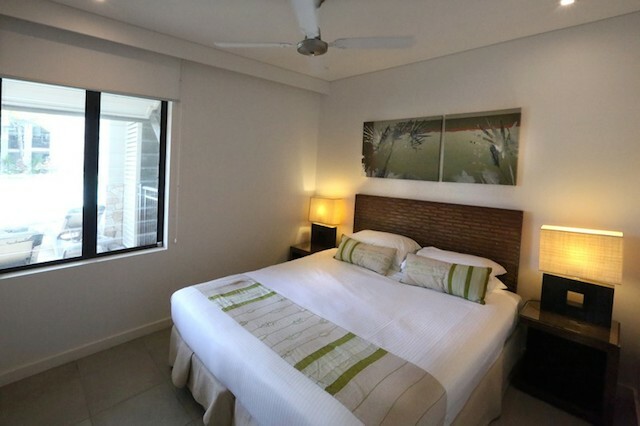 Spacious, self-contained apartment with an ensuite bathroom, fully equipped modern kitchen, in-room laundry facilities, LCD TV/DVD entertainment, stylish decor, King beds & heaps more. 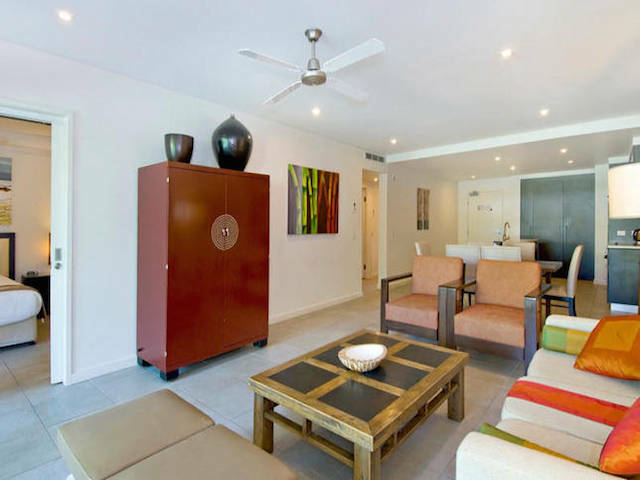 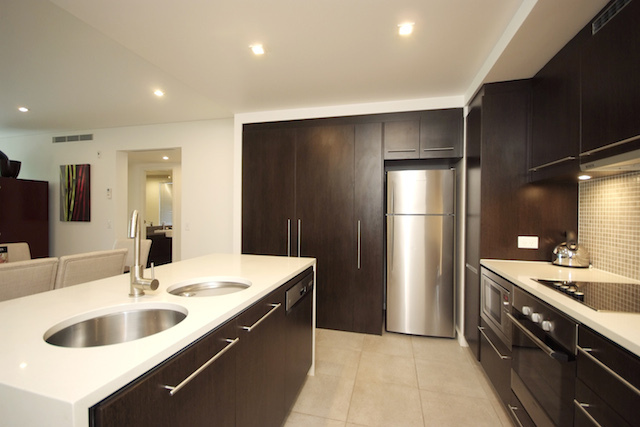 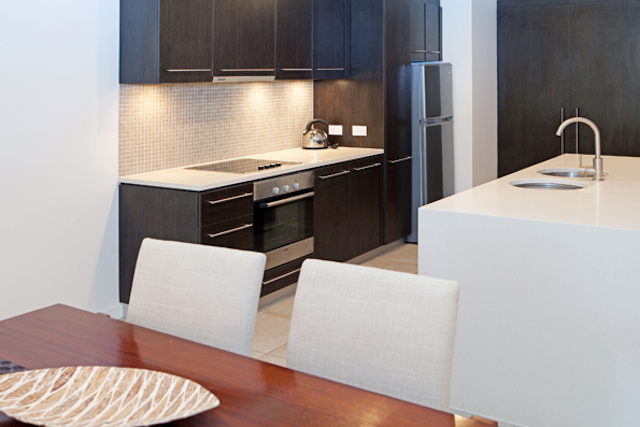 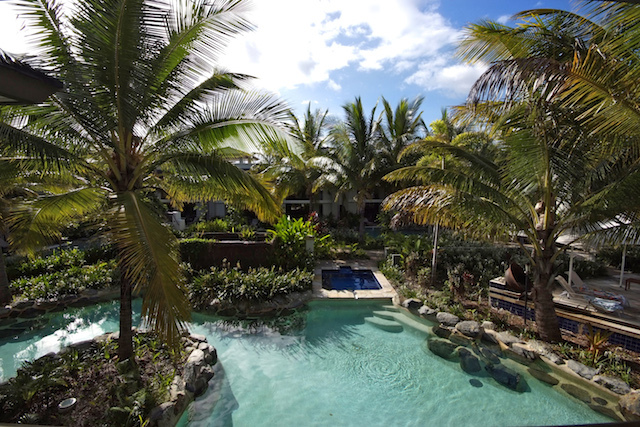 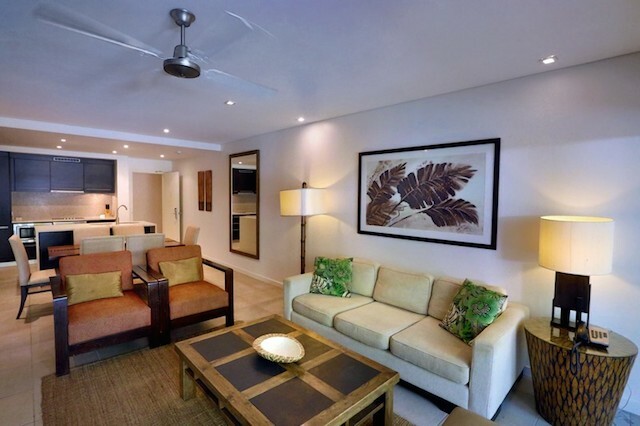 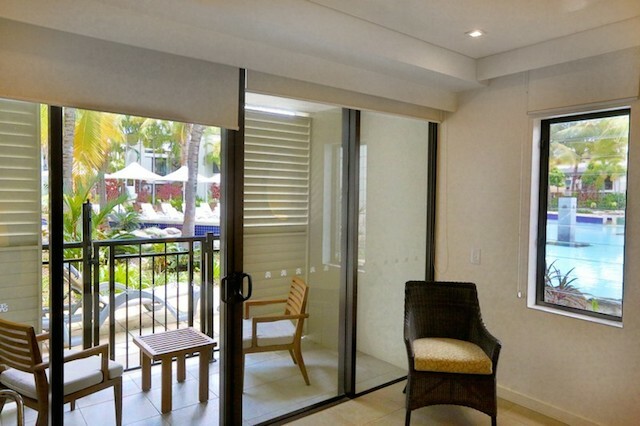 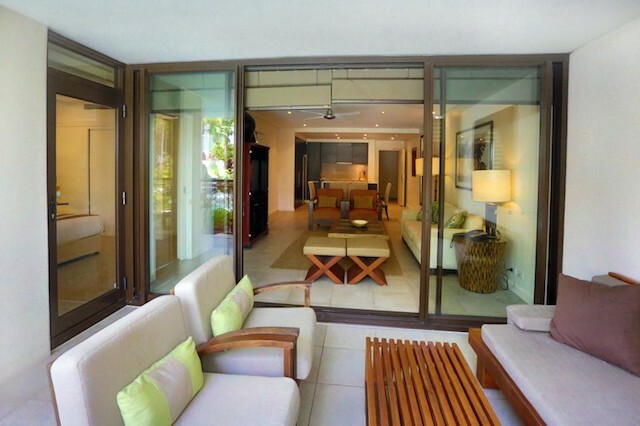 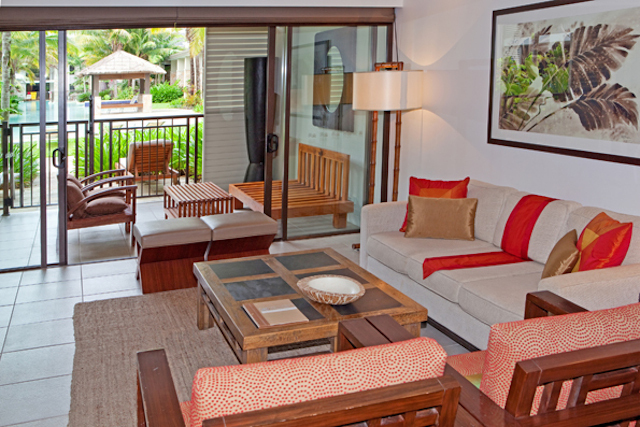 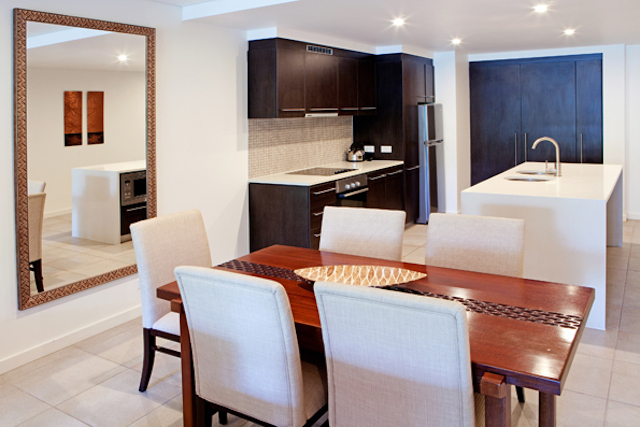 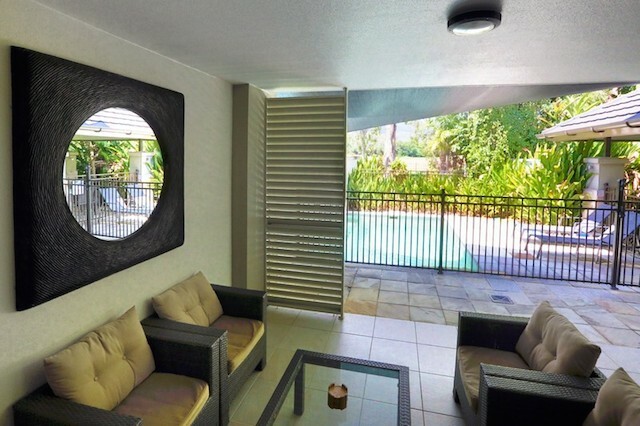 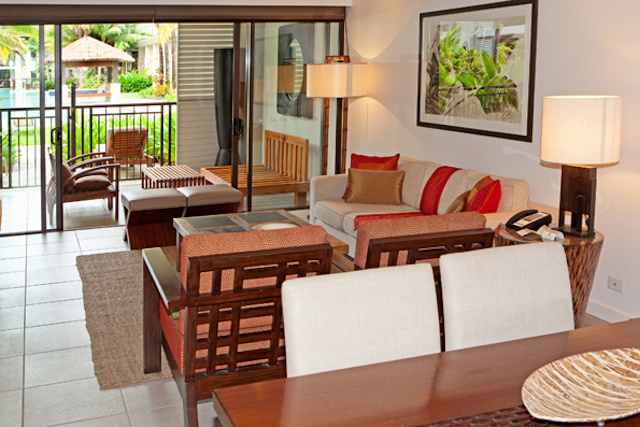 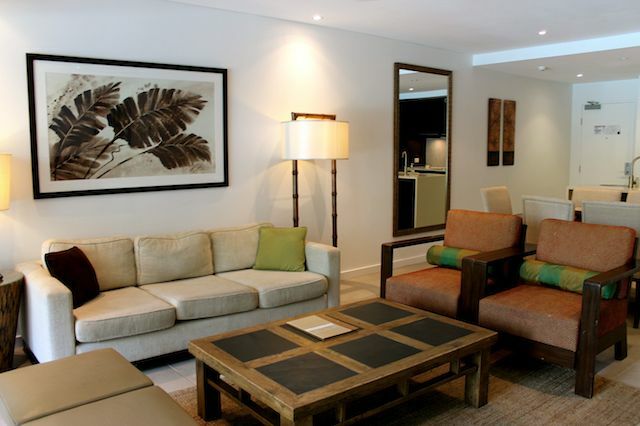 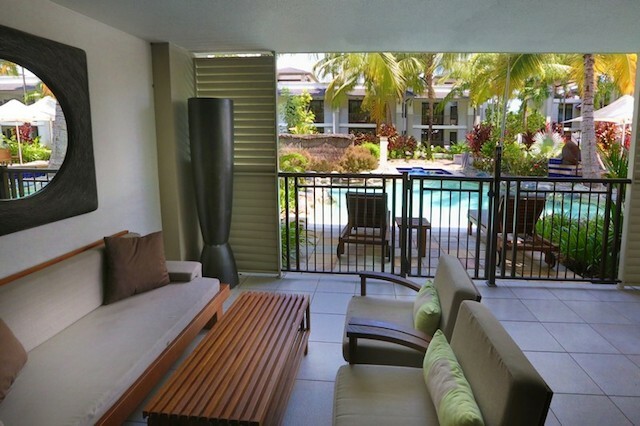 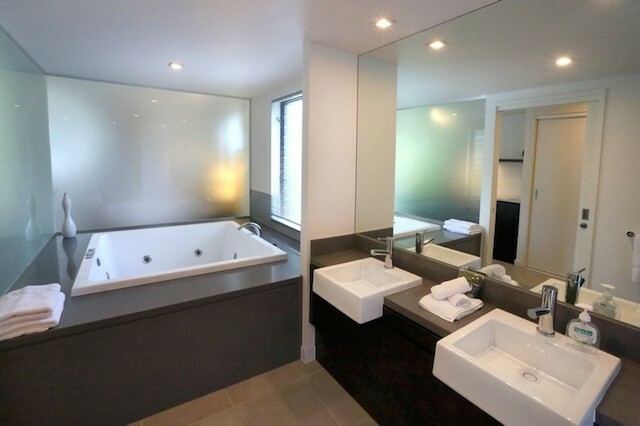 Spacious, self-contained ground floor apartments with private courtyard, plunge pools, BBQs and outdoor setting. 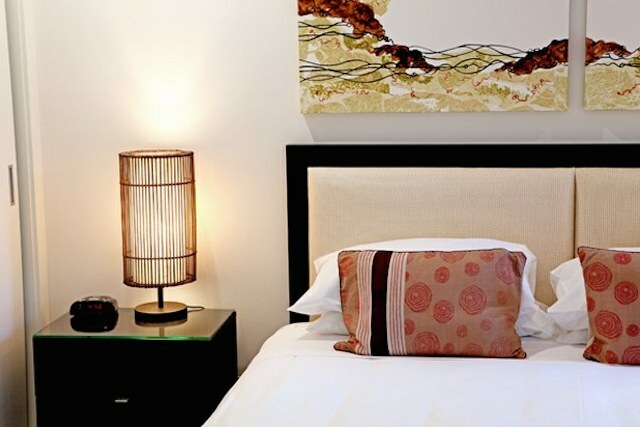 The apartment still includes the usual features; ensuite bathrooms, fully equipped modern kitchen, in-room laundry facilities, LCD TV/DVD entertainment, stylish decor, King beds & heaps more. 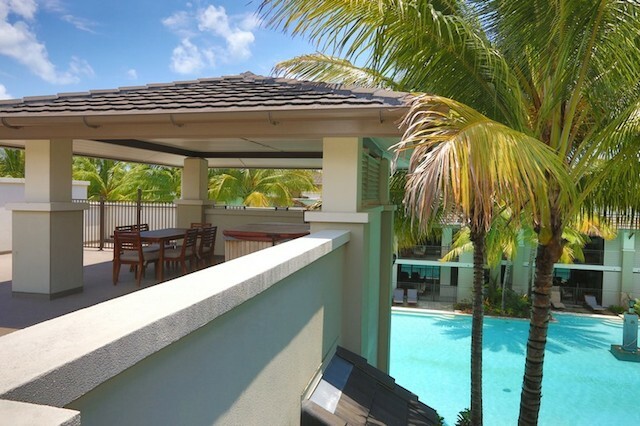 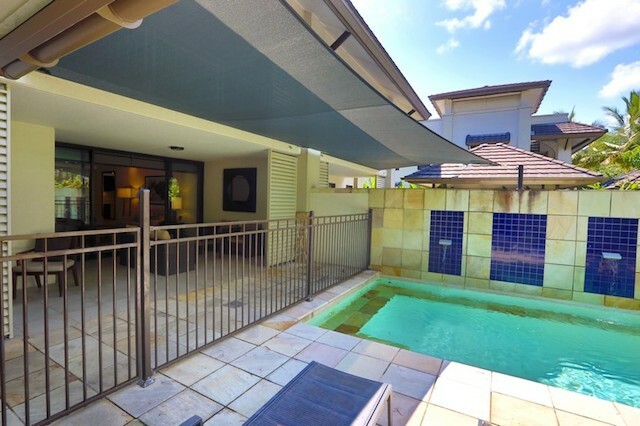 Spacious, self-contained ground floor apartment with a private sun-deck/balcony and direct pool access, swim straight out into the pool with this unique room. 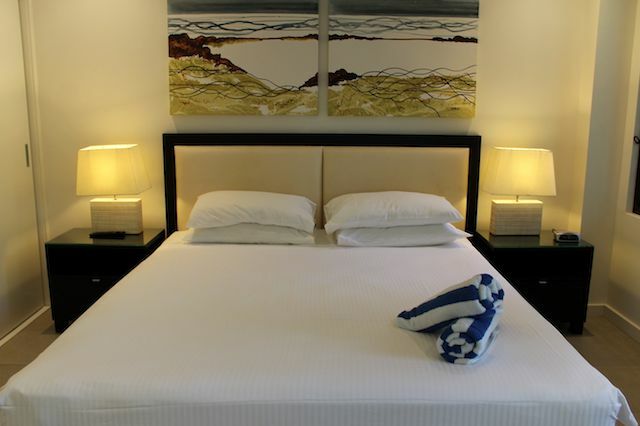 The apartment still includes the usual features; ensuite bathrooms, fully equipped modern kitchen, in-room laundry facilities, LCD TV/DVD entertainment, stylish decor, King beds & heaps more. 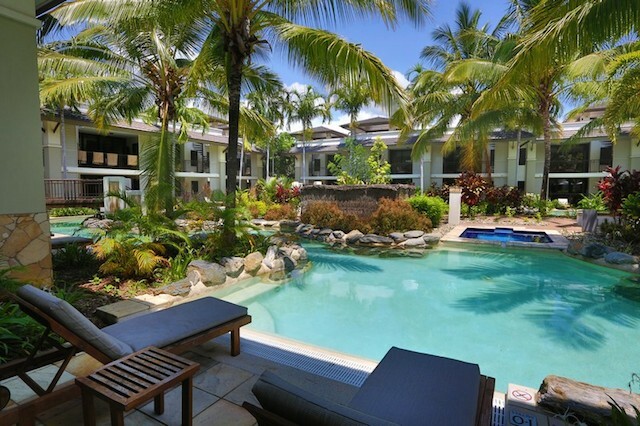 Port Douglas is a unique and vibrant destination. 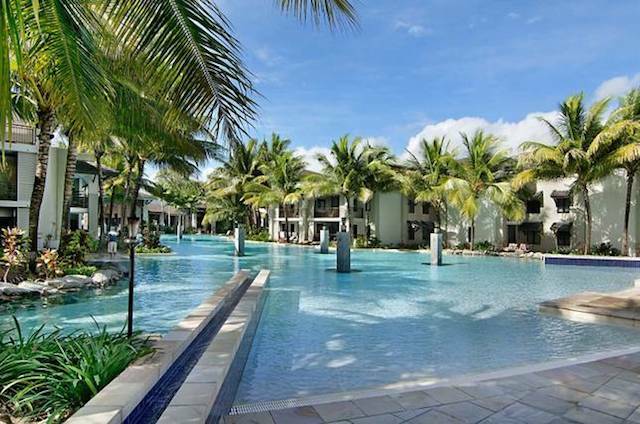 Its the only region in the world which is bordered by two World Heritage Listed Areas, namely the Daintree Rainforest and The Great Barrier Reef. 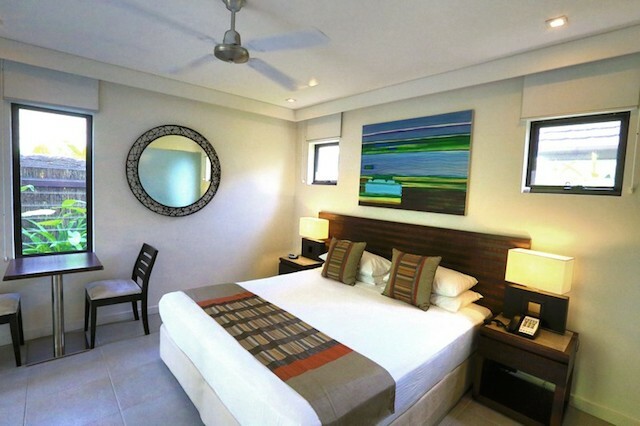 It is an environmentally enriched destination with plenty to see and do.